WRDC offers a career development program to help women make informed decisions about trades and technology careers: Orientation to Trades and Technology (OTT). Our CDC’s recruit program participants, provide continuous support to those participants and oversee the delivery of the OTT program. When women require additional information to make an informed decision about a career in trades and technology, we recommend participation in our Orientation to Trades and Technology (OTT) program. 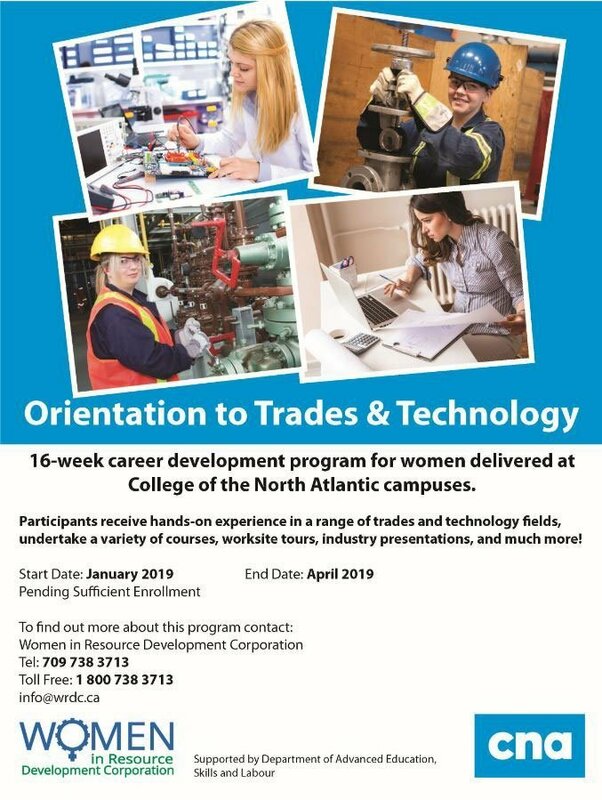 OTT is a 16-week career development program for women, delivered at College of the North Atlantic (CNA) campuses and funded by the provincial government. Participants receive hands-on experience in a range of trades and technology fields, undertake a variety of academic courses, worksite tours, and industry presentations. The program also includes personal and professional development components needed to foster success in male-dominated occupations, including safety certificates, and respectful workplace training. I would like to say I am very glad I’m here. The program is wonderful, the instructors are great, WRDC is great and the OTT family are really close. I’m glad I had this opportunity. Over 850 women have completed the OTT program since the first offering in 1999. In an external evaluation of the program, 98% indicated that the OTT program was helpful for them, and 74% went on to further their education. Contact the Career Development Coordinator in your region today!